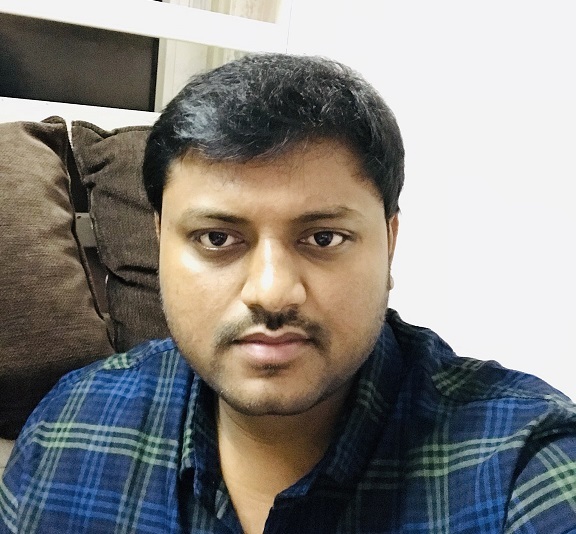 In this article we will discuss about SQL Server replication Parameterized row filter issues while replicating incremental data changes post initial snapshot. We had merge SQL Server replication configured on one of our database and used parameterized row filters to replicate rows that match the filter condition of the subscriber. While validating data on the subscribers we found that there were a few records that did not match the filter condition. First, we looked at bulk copy files in snapshot. The data looked normal in snapshot files and matched with the filter condition. So, we determined that the filters did not work properly only on incremental changes after snapshot and this filter condition did not work for the rows that were modified at publisher database. 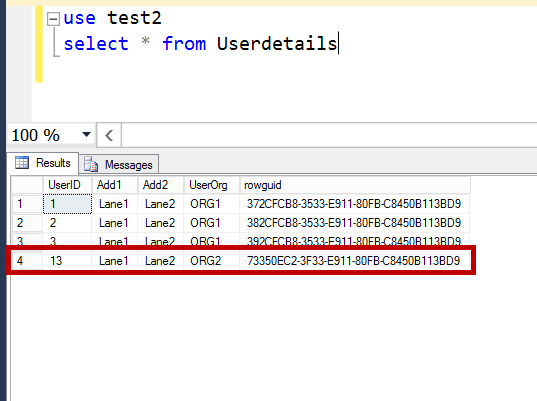 Let us see how filters work in merge SQL Server replication and why they got replicated to the subscriber even though the filter condition did not match. Below are my publisher and subscriber databases. On the publisher database, let us create sample tables and add these tables to SQL Server replication (Merge). Note: This is to just illustrate the scenario. actual tables are different in structure with lot of columns and a trigger to update Org value if the row is inserted with NULL UserOrg or wrong UserOrg. At Add filter step add below filter. Similarly add the filter for user tables as well. Click on Add and enter the partition value i.e. ORG1 and click ok. As of now I am adding only one partition ORG1. We can add more based on subscribers. For example, if I have a subscriber with partition ORG2 then we can add partition for ORG2 here and generate a partitioned snapshot which will be applied on specific subscriber. Now click on generate the selected snapshot now and click OK. Right click on publication you just created, launch SQL Server replication monitor and make sure the partitioned snapshot is also completed. While adding the subscriber specify the HOST_NAME() value of the subscriber, so that the rows with UserOrg value ORG1 only will be replicated to the subscriber. After adding the subscriber, apply the initial snapshot on subscriber. We can see the row with org value ORG1 got replicated to subscriber with partition ORG1. Now let us discuss internal tables used for data partitions filters in SQL Server replication (Merge). When precompute partitions is set to true on subscription options in publication properties, all the inserts, updates and deletes will be evaluated for filter condition at the time of changes and meta data is saved in internal tables listed below. Sysmergepartitioninfo: This table stores the information of partition rules for each table which has parametrized row filter. MSmerge_partition_groups: This table stores one row for each pre-computed partition i.e. In our case we will have one row for ORG1 partition. If any new data partitions were added then entries related to partition are also inserted in this table. As we know when a table is added to SQL Server replication(Merge) three system triggers will be created. One for insert, one for update and one for delete. All the inserts, deletes and updates on the replicated database will be tracked by these triggers and store the information in merge SQL Server replication internal tables. Now when data is inserted into the table, the Msmerge insert trigger is fired which evaluates the filter condition and store the information in MSmerge_current_partition_mappings table. i.e. this table maintains the information of which row belongs to which partitions. So that when the subscriber syncs with publisher it will get the information from this table which is already pre- computed and starts downloading changes directly instead of evaluating the filter condition while syncing. If pre-compute partitions option is disabled the subscriber evaluates the filter condition while syncing and this process must be repeated for every subscriber that synchronizes with the publisher. Pre-computed partitions are enabled by default. Let us insert a few rows into these tables and check the rowguid mappings in MSmerge_current_partition_mappings table. Now we can see two entries in MSmerge_current_partition_mappings with rowguid’s of inserted rows mapped with ORG1. Insert few rows which are related to ORG2 and check for the rowguid mappings in MSmerge_current_partition_mappings table. We can see there were no entries in table for the above rows as we have not specified the data partition for ORG2 in publication properties. Now let us update the UserOrg of UserID 6 and check the data in the MSmerge_current_partition_mappings and MSmerge_past_partition_mappings tables. If we update data of an existing row, the filter conditions are evaluated in SQL Server replication internal MSmerge update trigger and delete the entries for existing partition in MSmerge_current_partition_mappings and insert updated mapping data in MSmerge_current_partition_mappings. For example, if we update the UserOrg of Userid 6 to ORG2 then the existing partition information from MSmerge_current_partition_mappings is deleted and move the old partition data to MSmerge_past_partition_mappings table. Now we will check the filters by inserting wrong org values or NULL into the UserDetails table. The trigger TR_INS_UserDetails on UserDetails table is fired and updates the UserOrg value correctly. So, the UserOrg for UserID 12 will be ORG2 as the trigger updated correct org value while inserting data and the row is not replicated to subscriber as per filter condition. In my case somehow the trigger TR_INS_UserDetails is fired first and MSmerge insert trigger is fired later. Let us illustrate the same scenario by forcing the user trigger to fire first. On publisher database execute below script to force the user trigger to fire first. Below are the steps that happen when user trigger is fired first.